It is interesting how with the need for abreviations to keep within Twitter’s 140 character limit, 3-letter airport codes have come to represent the airport’s home city itself. Hence the City of Edmonton is now widely recognized as YEG. I am mildly amused by the fact that YEG (the airport) is a fair ways from YEG (the City whose netizens appropriated the tag). 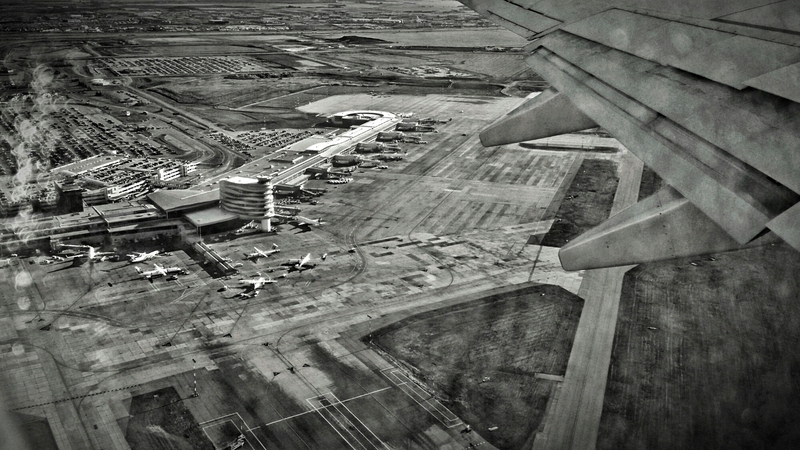 Here is a photo I took in early – November 2014 showing the Edmonton International Airport from the air, just after take-off.